Today, we received an email from one of the four winners of last December’s Facebook game Member Gets Member. The object of the game was to introduce your friends to avast! Antivirus by inviting them to our Facebook page. When your friends liked our page, you earned points, and earned points gave you the chance to win a cool new Windows Surface tablet. That's exactly what Micah, from the Philippines, did. Micah with her prize from Avast! 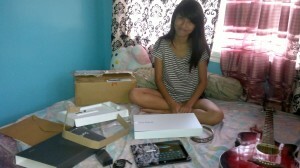 Attached here is my picture with the Microsoft Surface tablet. I am very thankful of having such reward. But not only that, I am very thankful also of using Avast as my antivirus because it's very fine and does excellent performance for my devices. I hope you guys will still make such events or contests like this Member gets Member game and keep on giving such awards for those Avast supporters and users. We are glad to learn that you are enjoying your Microsoft Surface, Micah, and we’re happy to inform you that tomorrow a new opportunity to win will begin. The #avastBeFree Photo Contest lets you express your creativity in photos. All you do is interpret our slogan avast! 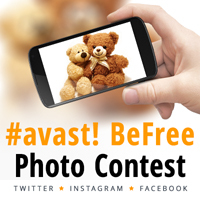 Be Free and enter your photo on our Facebook app, or through Twitter or Instagram using the hashtag #avastBeFree. We are giving away eight Nexus devices - mobile phones and tablets, plus 100 free license of avast! Internet Security. You could be a winner! The #avastBeFree Photo Contest begins tomorrow, Wednesday, May 15. Learn more about the contest from our blog post.